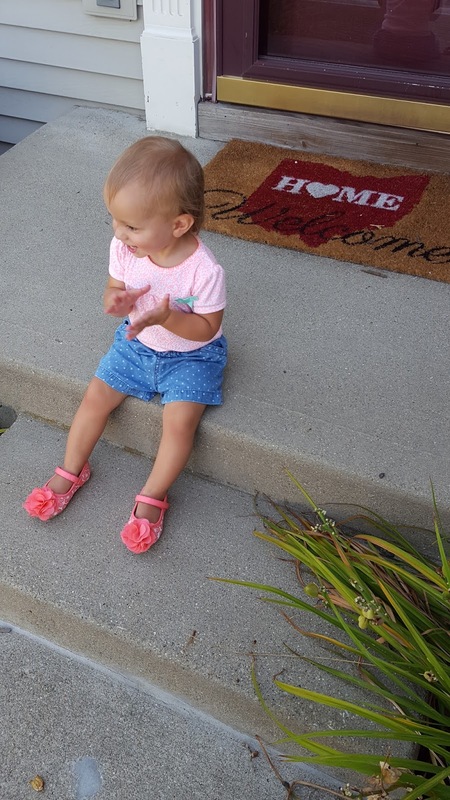 Summer was walking back and forth across the living room yesterday and loving it. She loves her stuffed Minnie Mouse and Dawn and I kept throwing it back and forth keeping it away from her. She was loving it! Laughing the entire time while waking about 8 steps each trip. Then we gave it to her and she kept carrying it back and forth for us and giggling. Dawn needed to do some shopping so I put on Summer's shoes and we went walking some on the sidewalk while holding my fingers. It was a little harder wearing shoes than barefoot, but she loved it. I need to get video of her scooting along the ground today because I feel that very soon there will be no more scooting or crawling. What a GREAT sunrise this morning! I am blessed to get to see it every morning. It may be through the lens of the tower cam, but hey... I'm still there to see it every morning. Humidity and temperatures have dropped just a little bit thanks to a cold front that will be stalling out and sitting near/over the Ohio River. 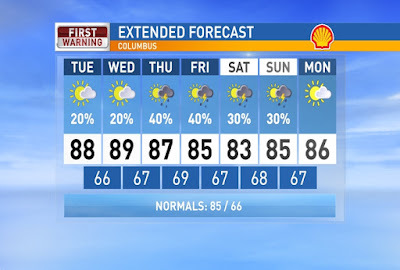 The stationary front will help trigger a few showers/storms across Southern Ohio over the next few days. That chance of rain moves a little more north heading into the end of the week with some isolated showers and storms for Central Ohio later this week and weekend. Staying humid with temps in the mid-upper 80s through the weekend with a mix of clouds and clear skies. Have a good one! 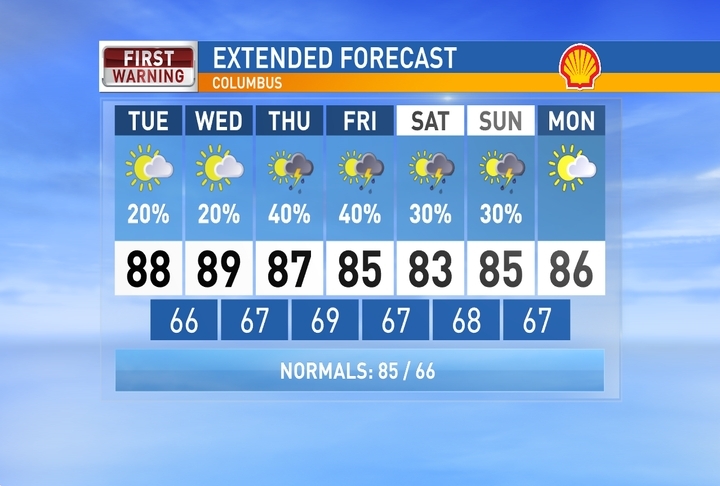 That chance of rain moves a little more north heading into the end of the week with some isolated showers and storms for Central Ohio later this week and weekend. Staying humid with temps in the mid-upper 80s through the weekend with a mix of clouds and clear skies. Have a good one!